The group’s follow up to the “Saturation” trilogy lets individual members shine across the tracklist, culminating into one of the year’s most essential records. Brockhampton has never been a predictable group. Whether releasing a trilogy of albums within one calendar year, removing a member of the group due to sexual misconduct, or recording an album in ten days at Abbey Road studios, they’re a hard group to pin down. Sonically, “Iridescence” is hard to label as well. The album’s tendency to be “genre-fluid” doesn’t paint the artists into corners, resulting in an unobstructed body of work. “Iridescence” opens with “New Orleans,” a bombastic introduction to the group’s new approach to production and sonic aesthetic. The busy instrumental features the sounds of what appears to be a dental drill and a race car, something you don’t hear everyday, unless, of course, you’re a dentist who works adjacent to a NASCAR track. It can be a bit much for the casual listener, but it’s something you have to come to expect with Brockhampton. Manic rapping from each member accompanies the experimental production, a common theme for Brockhampton intro songs (see “Boogie” from “Saturation 3”). If the first eight songs of “Iridescence” were a car, Brockhampton would have to get the transmission checked immediately. “New Orleans” is followed by the somber “Thug Life,” a stark shift. The sad and insecure “Thug Life” is immediately followed by the loud and confident “Berlin,” which brings back the sounds of the race car. This aggression is drowned in the next song, “Something About Him,” the softest and weakest track on the album. The altered vocals and basic lyrics don’t stand out among a sea of experimentation. Thankfully, the following track, “Where The Cash At,” shifts the pace. The London influence from their recording session at Abbey Road is apparent here, as rapper Merlyn Wood matches the tempo of the UK-grime oriented beat. The song “Weight” is up next, one of Brockhampton’s strongest ever. Each member on the song discusses a weight on their shoulders, of which Kevin Abstract’s is the crown jewel. Abstract’s depiction of his sexual insecurity, lack of confidence in his musical ability, and his friend’s self-harm is one of the strongest moments in music this year. Tracks seven and eight, “District” and “Loophole,” respectively, follow this alternating pattern of aggression. “District’s” futuristic instrumental shines. The second half of “Iridescence” doesn’t follow the pattern mentioned earlier, but still produces some of the group’s best songs to date. Notably, “J’ouvert” and “Tonya,” the two singles of the album, are phenomenal. “J’ouvert” is the hardest hitting song on the album, specifically when Joba’s emphatic verse kicks in over the heavy production. “Tonya” is the inverse of “J’ouvert,” a song discussing the difficulties of coping with fame over a lighter beat. Abstract emerges as the ringleader again on this song. “San Marcos,” another song in the latter half of the album, is more a ballad than a hip-hop song, where singer Bearface noticeably stands out. The quintessential part of the song, however, is the stunningly beautiful outro sung by the London community gospel choir. Brockhampton’s efforts are consistently impressive as a group and from each individual member. 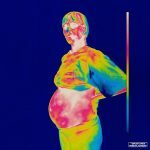 As the definition of iridescence indicates, the album is indeed a rainbow-like play of color, none of which would be possible without each color working in unison.